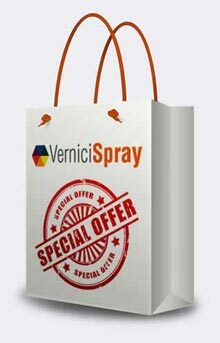 The e-commerce web site VerniciSpray was born to bring to the customer those high qaulity products, that once were only for particular professional categories. Here is an example: earlier the 2k Lacquer was hard to find for private not professional customers, instead now everyone can buy it with few clicks. In fact VerniciSpray can now satisfy this need, thanks to a deep and continuous search for raw materials and next generation products from suppliers in the whole world: in this way, even the not professional user can have access to the best products to get professional results and can even find unique products, such as glow in the dark paints and reflective ones. Guaranteed Shipments: secure and fast (delivery in Italy in 1, 2 days, in the rest of Europe in about one week). IEveryday shipments leave from Italy addressed to the main european countries: our new goal is to increase the presence of our brand in Europe. E-COMIT srl is born from the legacy of P&B sas, an Italian company situated in Tuscany and created in 1980, that had gained experience in many fields of communication: business communication, marketing, web design, informatics. P&B has been a company always ready to go through new experimentations, for this reason its knowledge in communication is still developing even now with the new E-COMIT and its skills include now: creation of paper and electronic catalogues for companies, management of the whole communication of a company, building of new websites, optimization of existing websites to get the best performance with the bigger simplicity. Moreover, thanks to a long collaboration with chemical companies, P&B's crew has got deep knowledge about varnishing at different levels (industry, professional, DIY). The last project undertaken in 2010 by P&B is this e-commerce website: VerniciSpray represents a synthesis of the whole work of our company in these years. With this challenge, the P&B can use all knowledge gained in operational marketing, company and business communication, in computer technology and in web marketing. From June, 2018, P&B has become E-COMIT maintaining the same type of activity, peculiarities and skills. From this moment VerniciSpray is therefore an E-COMIT brand.